Melbourne development and advisory group Cadence Property Group fielded unprecedented demand for Stage 1 of its new $250m mixed-use business park, The Crossing, in the city’s burgeoning western suburbs. With more than 60 per cent of the industrial lots in Stage 1 of The Crossing selling in the first two weeks of the release Cadence Property Group director Charlie Buxton said the strong demand for lots within the estate had been extremely encouraging. Releasing 37 industrial lots ranging from 1250 square metres to 7000 square metres, Mr Buxton said at approximately $180/square metres to $235/square metres, prices were a 15 per cent improvement on comparable blocks 12 to 18 months prior. 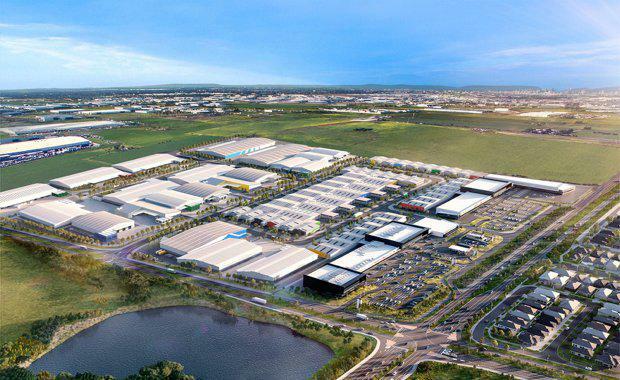 “Compared to a few years ago there are relatively few opportunities to purchase serviced industrial land in Melbourne’s west, which has had the effect of building up demand,” Mr Buxton said. Cadence purchased the 50ha site on Leakes Road, Truganina in May 2016. Located within the heart of one of Australia’s fastest urban growth areas, The Crossing will accommodate a mix of commercial, industrial and retail uses on completion. Mr Buxton said the site’s position, which incorporates a 600m frontage to Leakes Road, presented a great opportunity for future retail and commercial uses including convenience, large format retail and office accommodation. The Crossing has been planned so retail and commercial development will occupy Leakes Road, with traditional industrial uses located at the centre of the estate. As one of the State Government’s eight high-priority road upgrades subject to an $1.8 billion investment, Leakes Road has a projected carrying capacity of 65,000 vehicles per day once expanded into a triple lane carriageway. “The site is right at the very edge of the western industrial precinct and the residential areas of Truganina and Tarneit providing great opportunities to develop a mixture of product types and land uses,” Mr Buxton said. Cadence anticipates civil works for Stage 1 will begin shortly after settlement with Stage 2 to be released in the second half of the year.